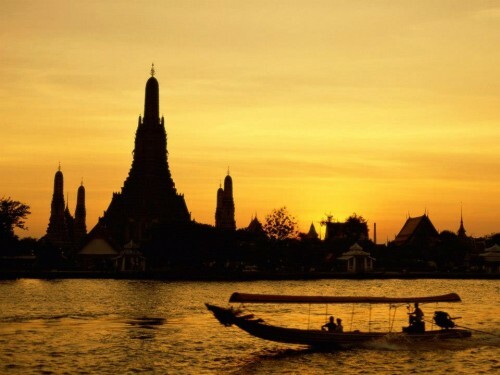 Thailand: Cheap flights from Prague to Bangkok for only €321! Another offer from Ukraine International Airlines is suitable also for citizens of the Czech Republic. 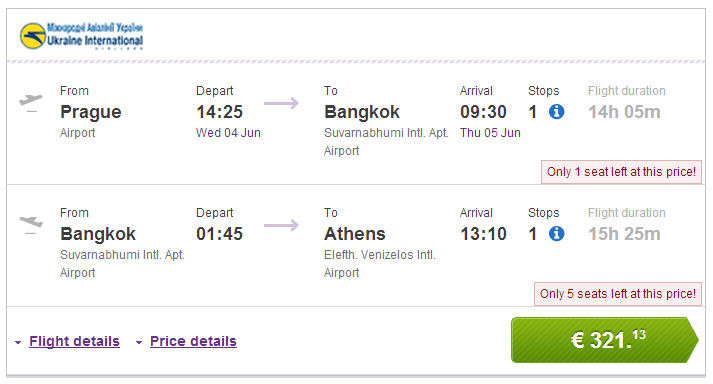 Multicity tickets to Thailand on route Prague – Bangkok – Athens are available for only €321! If you prefer return directly to Prague, you will have to pay €476 which is still OK price. Another option is to fly back from Athens to Prague, low cost carriers Ryanair and WizzAir offer one-way flights with transfer in Milan Bergamo for €70-€120 in June. Yesterday we also informed about flights from Athens to Bangkok and return to Frankfurt for just €286. Travel dates are in June. « HIT! Cheap flights to Thailand: Bangkok for €286!